Reduced soil sorting thanks to automatic sorting into buffer lines after wash. Increased utilization of the ironer line thanks to a buffer of linen ready for feeding, eliminating micro-stops. Increased feeding capacity possible by adding more loading stations. Provides continuous supply of sorted linen to the ironer line. Double buffer line capacity per rail meter thanks to the unique JENSEN Twin clamp. 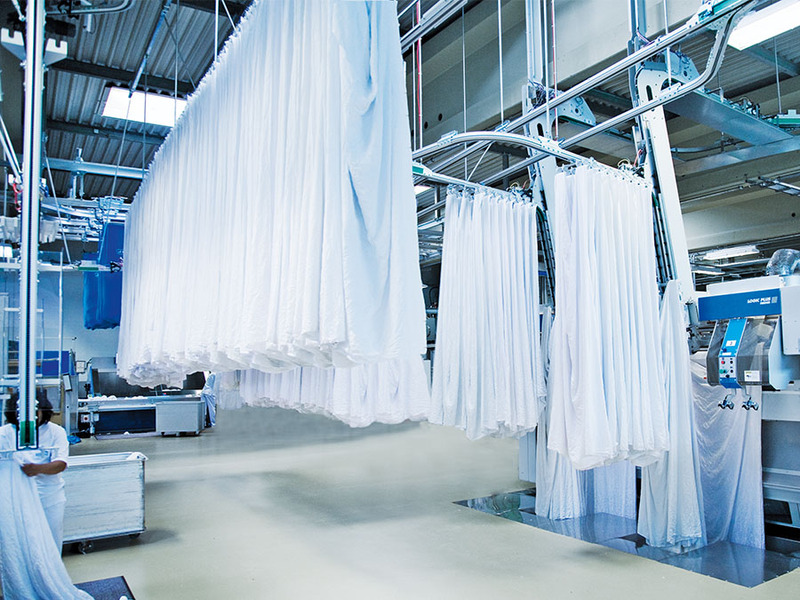 Optimum production thanks to continuous flow of sorted linen, reducing the number of program changes. Increased automation requiring limited human intervention.